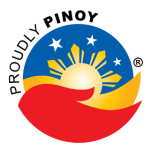 TweetThe Bids and Awards Committee of the Department of National Defense issued an Invitation to Bid for a force protection equipment valued at P174M. The opening of bids is scheduled on the 6th of February. Details of the bid appear below.